Social media is increasingly influencing consumer buying decisions. 23.1 million consumers say they’ve discovered new brands via social networks, and 22.5 million say they use social media to discover unfamiliar brands. It’s not just the average customer-focused business that uses social media to provide customer service. By the end of 2017, 624 million utility customers worldwide will rely on social media to engage with their utility providers. And @comcastcares, launched by Time Warner in 2010, now boasts more than 45,000 followers and has become the gold standard in online customer support. Big-box retailers are capitalizing on social media, as well. Walmart, for instance, has 25.5 million Facebook fans. Target has about 21 million and Victoria’s Secret 20.4 million. Twitter followings are strong as well. 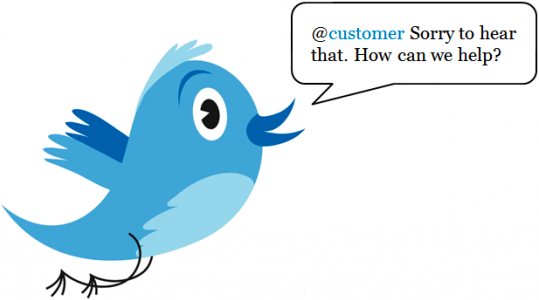 Are you lagging behind the social media for customer service train? Check out our infographic for more details on how retailers and businesses everywhere are capitalizing on the power of social media for customer service and brand recognition. This infographic was made by ClickSoftware mobility workforce management, the leading provider of field service and workforce management software and solutions.